International Medical Relief has coordinated with local Sherpas to organize an epic medical expedition just for IMR, bringing medical assistance to isolated villages surrounding the Manaslu Circuit. This once-in- a-lifetime opportunity was uniquely designed by Sherpa friends of IMR to offer a very exclusive opportunity to not only trek around the world’s eighth highest mountain, including crossing Larkya La pass, but also to provide medical care along the way. You will meet first hand with Sherpa communities and friends as you participate in an exclusive medical and cultural trek in this remote Himalayan area. The Manaslu Valley Trek is more remote and spectacular than many, with rough steep tracks and long days on the trail. It is culturally fascinating with strong continuing links to Tibet in the upper Buri Gandaki (called Nupri ‘the western mountains’) and the Tsum Valley, and even has the Larkya La (5160m) as a challenge. The views of Mt Manaslu are marvelous and close. This trek would appeal to anyone who is looking for a challenging trek in a remote region of the Nepal Himalayas. The trail has scenery similar to the classic Annapurna Circuit but is far less crowded. This trip will be physically demanding but you can trek at your own pace each day and will always be in the company of a professional guide. As you make friends along the trail, you will find yourself thinking much more about conversation and the beautiful place you are in, rather than the trekking! According to the United Nations, Nepal ranks 138th in the world in overall human development, behind such countries as India and Bangladesh and one of the least developed countries in Asia. About one-half of the Nepalese people live in poverty. They endure the typical problems of impoverished people around the world, such as high rates of malnourishment, childhood mortality and illiteracy. Poverty in Nepal is concentrated in rural villages and among lower castes and ethnic minorities. These villages are often located in remote, mountain villages that are geographically isolated and far from basic services. Subsistence agriculture is the rule, leaving villagers little opportunity to improve their welfare. These rural Sherpa areas have seen little of the modest economic growth that has benefited larger cities in Nepal. Rural healthcare services are at best rudimentary, with government health posts often going unstaffed and undersupplied for years. Nutrition is inadequate; vaccination rates are poor. The only way to reach these areas is by foot. The team will stay at in a wonderful hotel in Kathmandu at the beginning and end of the trek. During the trek the team will stay in local guest houses with comfortable beds and great food. These local guest houses are the backbone of the trekking world - they provide comfort, warmth, and friendly service to all. The trip will be staffed by guides and porters on a one-to-one basis with our team members so that you can trek at your own pace each day. This trek includes a visit to Tsum Valley, including one of Buddhism’s sacred hidden valleys (“Beyul”) where you will see important ancient monasteries and remote villages. The Tsum valley was only opened for trekkers three years ago and therefore is a new place to explore with little impact from tourism. Beyul’s are hidden valleys which Padmasambhava blessed as refuges to be discovered when the planet is approaching destruction and the world becomes too corrupt for spiritual practice. They are valleys reminiscent of paradise, which can only be reached with enormous hardship. Your team and you will spend a cultural sightseeing day in Kathmandu with an English speaking city guide. On the last night of your trek you will have a celebratory farewell dinner with traditional Nepalese dancers. 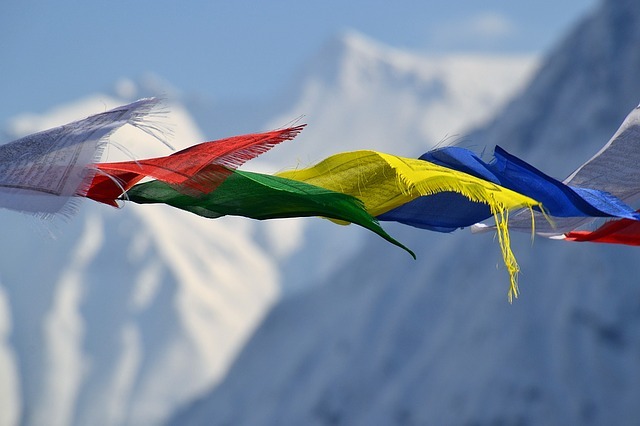 EXCLUSIVE IMR EXTENSION You're venturing around the globe, have you considered extending your stay a few additional days to do some hiking in the Himalayas or visit neighboring Tibet? You and the team will fly into the Tribhuvan International Airport in Kathmandu, Nepal on March 30th. Flying to Kathmandu on a clear sunny day will provide a panoramic glimpse of the mighty Himalayas that will stay without you for the rest of your life. We will meet our local driver and proceed to the hotel. At the hotel, you will be briefed about your daily activities. Being at a much higher altitude than you may be used to, you and the team will allow this day to acclimate and stay in Kathmandu. Get ready to start trekking tomorrow!! After an early morning breakfast, we will be picked up from the hotel and will begin our journey towards Sotikhola via Arughat the starting point of our trek. The drive from Kathmandu to Dhading Besi is a comfortable, however, be prepared for a bumpy ride with winding dirt road and rough terrain on the road from Arughat and then to Sotikhola. Though a rough ride, this is an incredibly beautiful area and the majestic sites will serve as a perfect distraction. As we follow the Budi Gandaki River towards its point of origin, we will pass the village of Morder and Simre to reach the Arkhat River and descend to Kyoropani. Finally, we will reach Soti Khola where we spend our night. After the morning meal, we will begin our trek in earnest, cross the Macha Khola river and heading upstream to the tiny village of Khola Bensi and the hot springs at Tatopani. The terrain on either side of the river will remain quite steep, ultimately becoming impassable at which point the route will switch to the other side of the river by way of a suspension bridge. The trail is quite exposed and challenging in places. After a short section of forest path, we reach the single teahouse at Doban. Above Doban, the Buri Gandaki river descends in an impressive series of rapids. Beyond this steep section, the river is much more placid, meandering across a broad gravel bed. At Lauri, we will cross the river on a suspension bridge, and then climb on a high path to the fields of Jagat where we will stay overnight. Finishing our early morning breakfast, we start our journey towards Philim. After crossing a suspension bridge over Budhi Gandaki we will enter Philim, a big village mainly inhabited by the Gurungs. Small monasteries, chortens and prayer flags fluttering in the sky, graves and traditional houses will be seen as we cross through the village where we will begin our first day of medical camp. After breakfast, we will descend towards the Budhigangadi River and cross a suspension bridge to reach Bihi phedi.Once again, the strong Tibetan cultural influence on the Gorkha region will be apparent. The trek will gradually ascending into the dense rhododendron forest. Finally, we will reach Namrung village where we will conduct the second day of Medical camp. The team will wake very early to view of the captivating sunrise against the backset of Mt. Manaslu. Surrounded by mind-blowing scenery, we will head towards Samagaon through rhododendron forest, passing by Shyala village. During this portion of the trek we will be passing 3660m (12,007ft), and will start to feel the altitude. We will witness a drastic change in vegetation and landscape as we trek into the higher elevations. Trekking for a few more hours, we will reach the village of Sama for our overnight stop. After our early morning breakfast, we will take a short detour towards Manaslu base camp to soak up the incredible views and experience the true majesty of this impressive mountain. After getting our fill and fulfilling some bragging rights, we will return back to the Samagau for our overnight stay. After breakfast, we will trek through a pleasant forest on the border of Tibet until we reach Samdu. Once again, amazing panoramic views of the mighty Himalayas will present a fantastic photo opportunity. In Samdu we will conduct a medical clinic and spend the night. After an early breakfast, we will trek to Larkey Phedi where we will conduct another medical camp and stay overnight. Today is the big day! After an early departure, we will climb towards Cho Chanda and then slowly head up the steep terrain towards the snowy Larkya La Pass. From the top of the pass, the panorama is absolutely breath taking. Peaks like Himlung Himal (7126m), Cheo Himal (6820m), Gyagi Kung, Kang Kuru(6981m), and Annapurna II (7937m) can be seen in their full glory from this vantage point. The descent from the pass is steep, heading through Moraines, towards Bhimphedi where we spend our night. The next day we will descend towards Goa. The south horizon is impressive with Manaslu in the east and Annapurna II in the west. Further down, we will follow the trail across a bridge at Dudh Khola, trek through the blossoming rhododendron flowers, leave Karche in our wake, pass through Thonje village, cross Marsyangdi River, finishing at Goa. From this point forwards, the route will get much easier. We will start the day with a gentle climb through paddy fields towards Karcha La pass and descend through fig trees and Rododendron forest. We will conduct our final medical camp at Dharapani and stay overnight. With hardly a hill along the way, we will conduct a leisurely walk along the little-known east bank route from Besi Sahar. After lunch we will be picked-up b and drive to Kathmandu for a traditional farewell dinner and a night in a comfortable bed at the hotel. After a leisurely breakfast we will head to the airport for our flight back to the U.S.
Pay 3,000 and complete your application to secure your place as a TEAM MEMBER! Pay 3,000 of the total cost by the Early Bird date AND upload/complete all of your required documents and forms receive $200 off the cost of your trip. To confirm your space on the team: Pay 3,000 of the total cost AND upload all of your required documents and forms! Unfortunately, eligibility for the $200 savings on this trip is no longer available after Dec 17th, 2019. Before Dec 17th, 2019: YES! IMR will arrange your international flight on a "group" ticket at your request! Pay 3,000 of the total cost AND upload all of your required documents and forms to be eligible to fly on the international group ticket. YES - We need your help to take IMR supply bags internationally to Himalayan Expedition! Take 2 supply bags for IMR both ways to Himalayan Expedition. IMR Group Flight: In order to qualify for the IMR Group Flight, you will need to reach 50% of the required donation on or before Dec 17th, 2019. Early Bird Special: A discount of $200 is awarded to team members who raise / pay 50% of the required donation on or before Dec 17th, 2019.